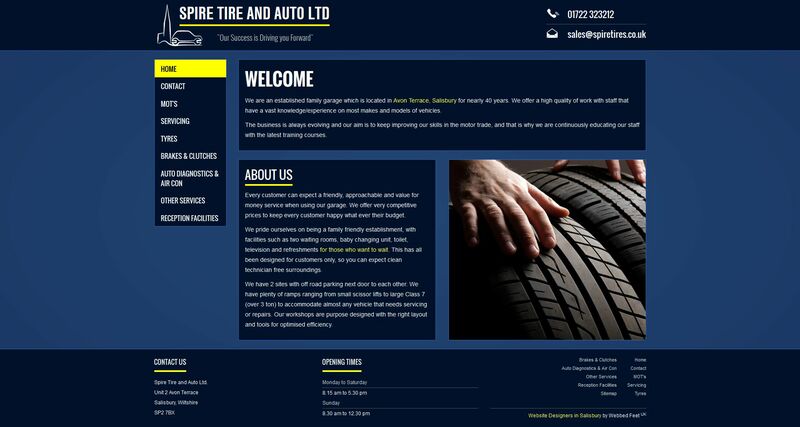 Spire Tire & Auto have just had a brand new responsive website launched, giving them the web presence they deserve. Spire Tire & Auto are a local garage in Salisbury, Wiltshire offering services from tyre changing to MOT's and brake testing to general servicing. Check out the new website at www.spiretires.co.uk. Webbed Feet UK offer bespoke website design in Salisbury. Contact us if you want to boost your web presence and your business.